Jurgen Klopp has confirmed rumors about Man city’s keeper, Joe Hart. 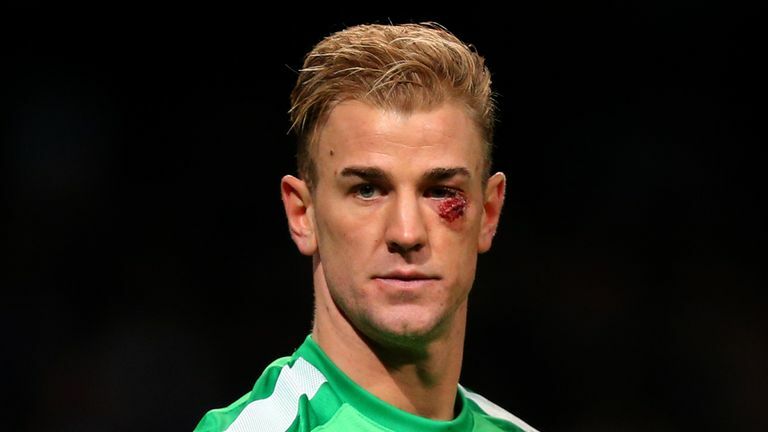 Jurgen Klopp has confirmed Liverpool have no interest in signing out-of-favor Manchester City goalkeeper Joe Hart. Liverpool has been faced with goalkeeping problems for a while, with Loris Karius failing to impress when Mignolet was sidelined for ten matches. Hart has been on a season-long loan at Torino but has been linked with a return back to the premier league, with Liverpool a possible destination. However, since the return of Mignolet he has regained his form, putting on some good displays. “We don’t usually talk about these sort of things but in this particular case, I think we can. “He is a fantastic goalkeeper, the goalkeeper of the English national team, the highest quality, but we have highest-quality goalkeepers. “It is not for us at this moment and hopefully not for us in the future – not because of Joe but we already have two strong goalkeepers. “Wardy [Danny Ward] is at Huddersfield and playing a brilliant season – he is our player so we will bring him back next year so there is competition. “The young ones have made really big steps, Caiomhin [Kelleher] and Kamil [Grabara], and that is really good.